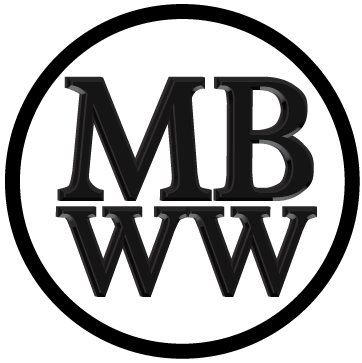 One of the best parts of the micro brand watch market is the personal stories behind each project. The Ensign is much more than just a a great dive watch, it’s the culmination of a long journey to create one man’s perfect watch. UPDATE: The Ensign campaign was cancelled and the watch made available by preorders. all links to the Kickstarter campaign have been updated to redirect to the Deaumar Web store. 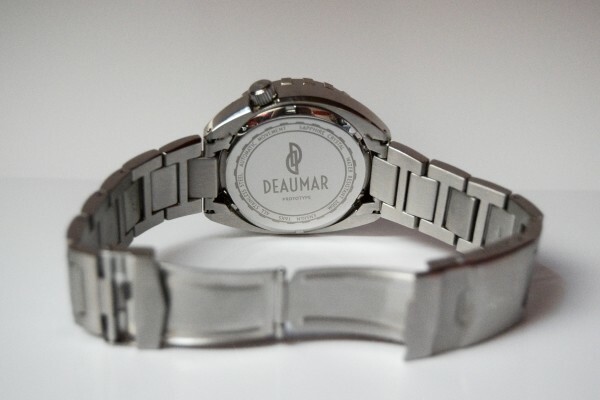 The Deaumar Ensign is not the first watch by creator, Tony Villa. Tony caught the watch bug as a young lad when he got his first in the 80’s, a James Bond digital watch that played 007’s theme tune. 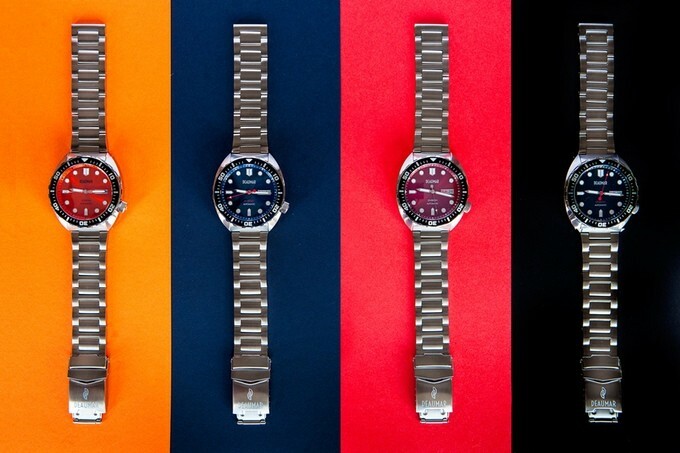 In 2004 he started to design his own watch, creating the Bravus brand. as a designer, I’m a “chef” not a “farmer”. I don’t grow my ingredients. I just know what ingredients need to be put together to make a tasty dish. The Ensign isn’t a ground breaking or innovative watch. But so what, that was never the idea. Importantly, it’s not a copy of anything either, nor is it a simple off the shelf design with a different brand on it. It’s an pastiche of what I like about sport watches, all done with a unique case, strap, face and bezel. This ‘what you see is what you get’ approach is a refreshing change from the countless “redefining affordable luxury with a minimalist quartz watch design I couldn’t find so I made it myself” pitches I see every week. So is the Ensign worth your time? If you want a well made watch made in a limited run with a unique but not outlandish design then absolutely yes it is. Tony has done an excellent job here of pulling together some of the best design elements from various sport watches into something fun and interesting. Custom 316L Solid Surgical Stainless Steel “Cushion” Shaped Case with drilled lugs to enable easy strap changing. Seiko, Japanese Made, 4R36 Automatic Day / Date Movement – 24 Jewel – Hacking & Hand-winding. Domed, scratch resistant, Sapphire Crystal Glass with Anti-Reflective coating. C1 Super Luminova Lumed Markers. Height – 14.3mm – including slightly domed sapphire crystal. Place Of Manufacture – Hong Kong. 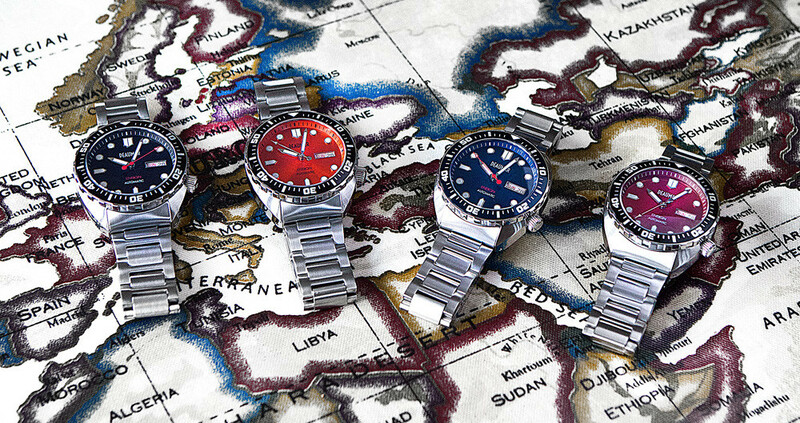 With pledges starting at £131 (USD 187) for non EU residents and £157 (EUR 200) for EU residents which includes VAT the watch is great value. The spec list compares favourably with similarly priced Seiko’s and you’re guaranteed to get a watch with a great story and a limited run with Deaumar. If you haven’t already, get on over to the Deaumar Ensign Kickstarter page and pledge for yours now!